I've spent several weeks of the school year start up getting my grade one students trained to work independently so that I am free to work with them in small groups, or one on one. This training has given my students more confidence to be better able to make choices about their learning. It's a strong philosophy behind the Daily 5 which I modify to make work for me. Last year I rotated my students through word work activities all of the first term as a way to show them the different ways to practice their word work. When January arrived I hesitantly let them go at it on their own. They pleasantly surprised me and we continued the rest of the year like that. As they became more comfortable with words, the choices of activities they made to practice their words continued to better meet their individual academic needs. I loved that because they were deciding where they needed to be. Talk about getting my students to be independent learners. It was a win win for everyone. This year after the required training period I decided to let my students go two months early than last year and to no surprise they haven't disappointed me. 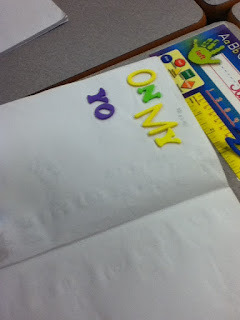 To help them make decisions with their word work practice I have a list clearly posted in my classroom of ways that they can practice their word work. The list isn't complete but meant to be a starting point, particularly at this time of the year when reading and writing is still challenging for many. 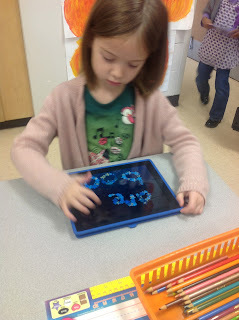 Here are some photos of my students making choices about their word work practice. 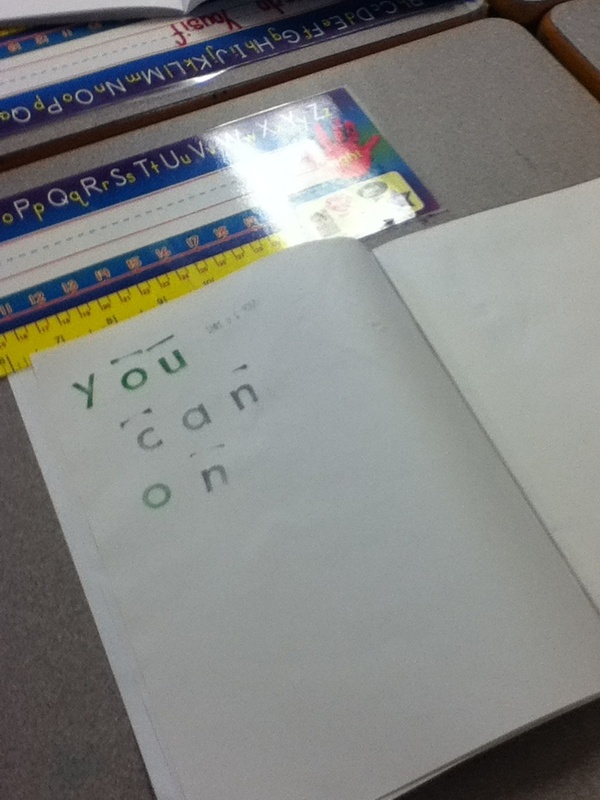 Our Word Work choices are very similar. I've recently given my students free choice of what they will work on - and they continue to amaze me! 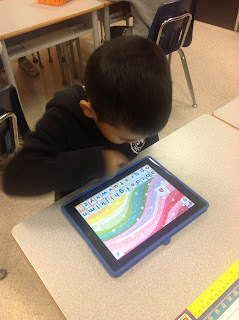 :) Love seeing the independent work in Grade 1! 1. Where did you get your letter beads?